Starting from Chinamans Beach, you will swim towards Balmoral Beach, around the iconic Santa buoy and back. One loop of the course is 2.5km. There is a feeding station anchored off Chinamans Beach for those competing in the 5km and 10km events. Harbour conditions, no surf, sometimes windy. Water temperature of 18-20 degrees. 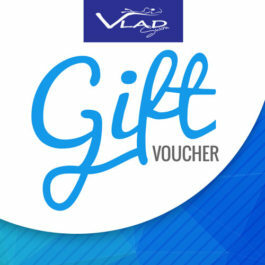 Finish the year with one of the season’s best open water swims, the Vladswim Challenge. Run the week before Christmas at Chinamans Beach in Balmoral, the atmosphere is festive and relaxed. 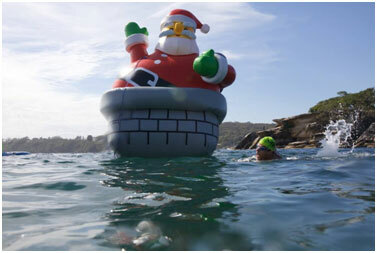 Whether you’re tackling the 2.5km, 5km or 10km event, you’ll get a chance to swim around the giant inflatable Santa buoy at the 1.25km mark. The 2.5km swim is for all ages. It will start at approximately 8.10am, with swimmers completing one loop of the course. 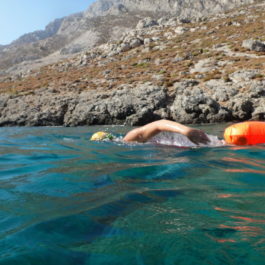 The harbour conditions make this a safe and easy swim. The 5km swim is part of the Swimming NSW Summer Swim Leader Board. You will collect points to be added to your tally for the season. This race will start at approximately 8.05am and swimmers will do two laps of the course. The 10km swim will start at 8am, with swimmers completing four laps of the course. This swim can be used as an official qualifier for the Rottnest Channel Swim held in February. It is also the last of the 10km swims in NSW for the year. We have a specific 12-week preparation program for each of the swims, starting in October. Your program will include three to four pool sessions and one open water swim each week. You will benefit from the expertise of our coaches and the support of other swimmers in a positive and friendly atmosphere. 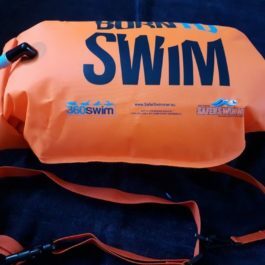 Your swimming technique and endurance will improve throughout the preparation, with the race a great validation of all your hard work and a terrific way to end the year.